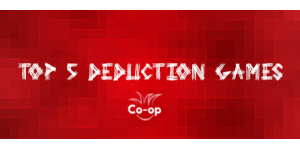 If you enjoy solving puzzles and you’re a fan of cooperative board games, then you’ll probably want to check out our favorite cooperative deduction games! Do you like games with a lot of tension that also provide a tough challenge? Well, then you’ll probably want to check out our favorite real-time cooperative board games!